Shing-Sheng/Taipei City. 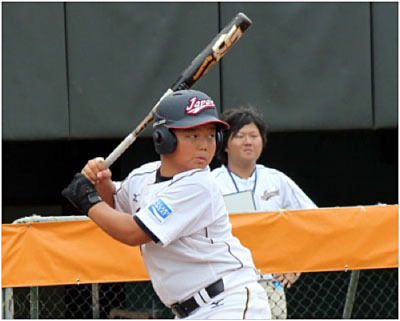 Japan welcomed the Philippines with a 15-0 shutout in the II 12U Baseball World Cup. The duel between the two Asian squads was decided early, as Team Nippon put ten runs on the board at Shing-Sheng Stadium in the first two frames on Friday morning. The Philippines were off on the first day of the competition. On Thursday Taiyo Ueda impressed with a 4-for-4 performance against the Czech Republic. One day later he pitched four scoreless two-hit, one-walk innings for the win. He struck out eight. At the plate he scored twice and drove in two. Yuki Ishii went 2-for-2 with four RBI. The Philippines had their best scoring chance in the fourth. Roberto Junior Morcilla Ruez walked and Jose Joaquin Alcaraz singled to put runners on the corners with one out. But Alexandra Isabel Romero-Salas grounded into a game-ending double play. The Philippines now hope for their first victory on Saturday at Youth Park, when they take on Italy. Japan will face Chinese Taipei in a highly anticipated duel at Tien-Mou Stadium in the evening.